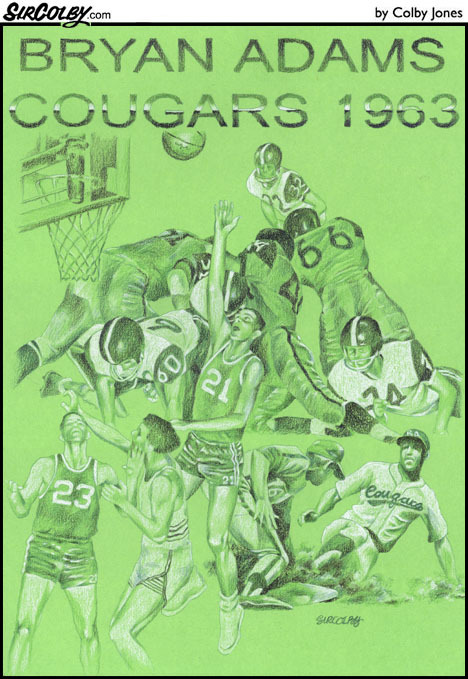 It’s been 50 years since the Bryan Adams Class of 1962-63 competed on the courts, fields and diamonds of Dallas. They fared pretty well, too, winning the city championship in baseball and being co-champions in football. 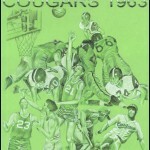 In commemoration I was asked to come up with a “collage” depicting some of the Cougar sports. One of those scrawny kids is being honored by the Dallas ISD by having the girls’ gym renamed in his honor. A well deserved honor it is since Gary Blair went on to coach several state champions in women’s basketball at South Oak Cliff High School and a national championship at Texas A&M and is in the Texas Sports Hall of Fame.